While preparing to read, firstly, become familiar with the topic and learn the main expressions and terms. This way, you will not only better get the point of the text you are about to read, but will also be able to build the system between new and old fact. Next, skim the text before actually reading it and pay attention to the key words and ideas. This way, you will have the information primarily analyzed and it will facilitate perceiving the text contents fully. After you do all that, the final step for you to grasp the essentials of the material you’ve been carefully reading is to do something with this information: i.e. explain to others, rewrite, make a song out of it, etc. Afterwards, use the basic method: repeat and reread, go back to the information apprehended in a while: a week or a month; this way your brain will be set on remembering the information with the goal of using it later, not just analyzing it and putting aside. Taking into account the existing Adler’s levels of reading: elementary, inspectional, analytical, syntopical, focus on the last two, as they provide a deeper understanding of the information read. Make sure to define the subject matter, the major parts and matters of the book and outline these things by making a short summary. While reading, take some time to stop, contemplate and ask yourself questions about what you’ve just read. The ultimate goal in absorbing a lot of information is to be able to use it, which undoubtedly includes vivid associations and well-defined structure. To achieve that, you can work on creating visual or sound impressions and then building associations by making a chain between the new and familiar information. It will also help big time because this way you will train different types of memory: iconic and echoic. 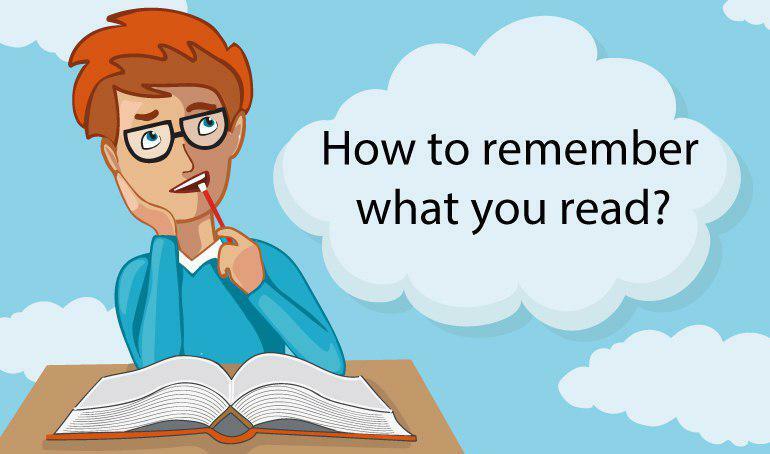 If you also find a way to appeal to kinesthetic memory, then reading will become quite fun and engaging. Moreover, there has been carried out a research that proved that reading on paper significantly increases the efficiency of the whole process, as you use your visual and tactile senses to interpret the information.With all that, making the notes and underlining the important or curious sentences will sufficiently speed up the process and add a colour and an emphasis to each particular subject. And the last point speaks in favor of paper textbooks, which are offered in many college categories on our website, so don’t hesitate to browse and pick the books you need! Moreover, take a note of our buyback program, which allows you to save cash and even earn some! You can also use our new 7% extra coupon code: NEO123 (expires on 10/20/2017!). In order to know how much cash you will get for the textbooks you have, type the ISBN (or the title) of the item into the search box on our main page or simply scan the book’s barcode on the backside of the cover with your smartphone’s camera using our app (which is available for both Android and iOS). If you have any questions, please visit our FAQ page or simply send us a message. Previous Post Did you know this about freshmen?! A set of facts to surprise you!